Ahmedabad is a popular tourist destination of India which has number of interesting places to see. Some of the popular tourist destinations that you can visit in Ahmedabad on your trip are Bhadra Fort, Kankaria Lake, Teen Darwaza, Dada Hari Vav, Chandola Lake, Sarkhei Roza, Sardar Patel National Memorial, Hussain Doshi Gufa, Sarkhei Roza, Calico Museum of Textiles, Hathee Singh Temple, Sabarmati Ashram, Jhulta Minar, Jama Masjid and more. 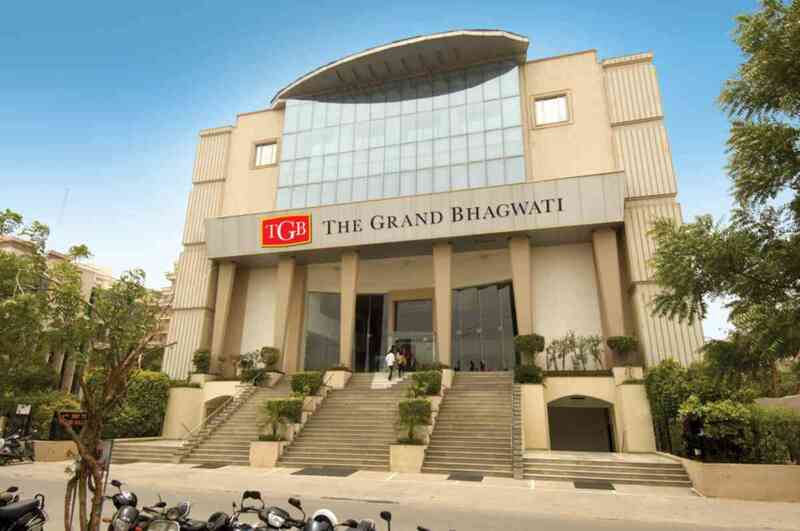 The Grand Bhagwati Hotel in Ahmedabad is one of the famous hotels in Ahmedabad where you can make your stay during your holidays in Ahmedabad. It is a banquet hotel which is located on SG Road, Sarkhej Gandhinagar Highway between Thaltej & Satellites cross roads in Ahmedabad. This three star hotel is only 17 Kms away from the airport and railway station. There are 35 stylish guest rooms and two spacious suite rooms at this hotel and all of them are well appointed with amenities. Amenities offered at The Grand Bhagwati Hotel in Ahmedabad are 24 hour concierge, conference hall, internet access, banquet hall, conference hall, valet parking, valet service, coffee shop, laundry service, doctor on call, restaurant, room service, air conditioning room, television in the room with satellite channels, telephone with direct dialing, tea coffee maker and more.